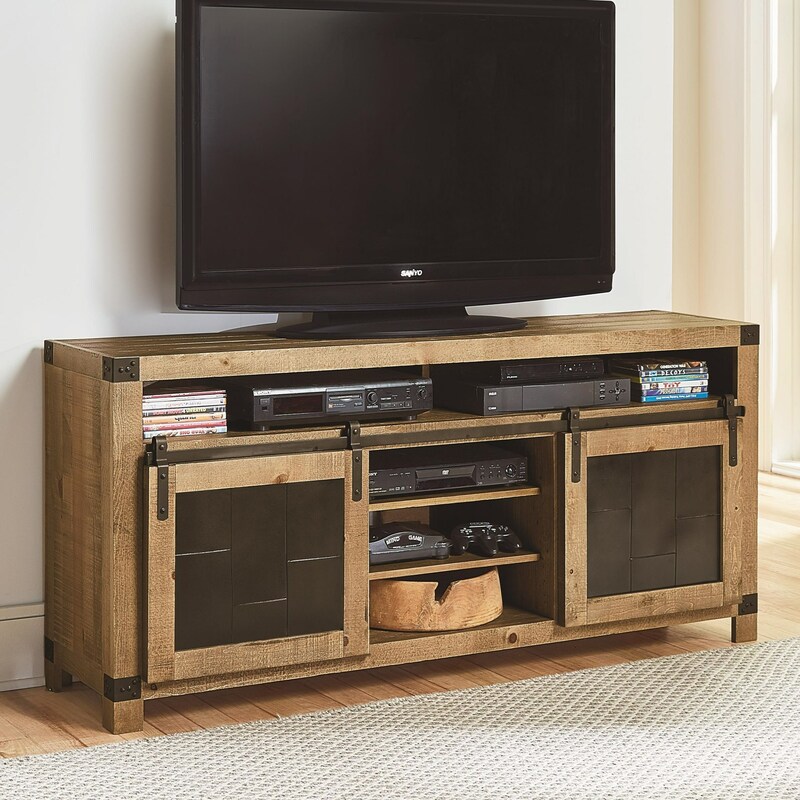 Enhance your home with this TV console's rustic charm. This piece features barn door style sliding doors with paneled metal insets, as well as metal corner brackets with nailhead accents. This design is sure to give your decor a warm feel, while its two adjustable center shelves are sure to provide the kind of storage convenience you're looking for. The Mojo Rustic 64 Inch Console with Metal Sliding Barn Doors by Progressive Furniture at Northeast Factory Direct in the Cleveland, Eastlake, Westlake, Mentor, Medina, Macedonia, Ohio area. Product availability may vary. Contact us for the most current availability on this product. Store your media essentials in style with this rustic entertainment collection. With natural wood finishes and metal accents, these pieces create warm designs that you'll love having in your decor. Plus, you can mix and match the TV consoles with the pier unit for different configurations, and the TV console comes in three different sizes. The Mojo collection is a great option if you are looking for Rustic furniture in the Cleveland, Eastlake, Westlake, Mentor, Medina, Macedonia, Ohio area. 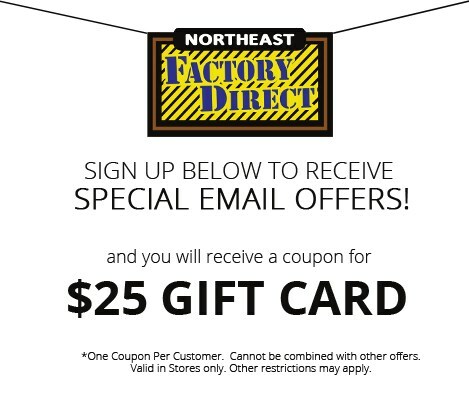 Browse other items in the Mojo collection from Northeast Factory Direct in the Cleveland, Eastlake, Westlake, Mentor, Medina, Macedonia, Ohio area.